In 2017, the Town of Valleyview partnered with Modus and Urban Systems to begin the journey of developing an economic growth strategy for our town and region. Research was done by our partners and a group of Advisory Committee Members and Stakeholders was put together to get input from different facets of business, industry and government. A two day long workshop was held to hash out ideas and come up with a plan. After much deliberation and feedback the Valleyview Economic Development Strategy was created and passed by Council in late 2017. 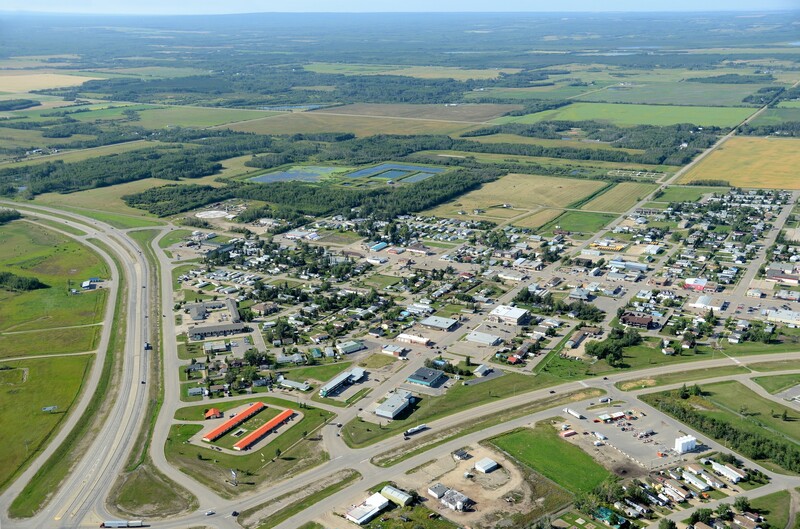 Valleyview maintains a relatively diverse economy, having a role as a regional administrative and commercial centre and significant activity in four other primary sectors: oil and gas; agriculture; tourism; and retail. However, changing international market trends threaten the future stability of these sectors, and consequently the economic prosperity of the town. In the past ten years, Valleyview has experienced a decline in economic growth and activity locally and regionally. This has affected the community in a number of ways: an increase in unemployment and under-employment, decreased family income levels, and a decrease in the local tax base due to a loss of businesses and families moving to seek economic opportunities outside of the region. In this context, economic diversification is critical for the community’s success. In this context, Valleyview has developed an economic development strategy that builds upon the economic journey of the community, drawing upon the knowledge and experience of the community to better position the local economy in relation to current and anticipated market trends. The Strategy is a critical step forward in terms of the town’s long term economic resiliency and success. Increase investment both locally and regionally that drives high-value job creation. This report describes the context for and process of developing the Strategy, then outlines the Strategy for driving economic development overall and in key opportunity areas, and provides a high-level action plan to initiate and guide future strategic economic development in Valleyview and area.